Even the little ones like to join in on the Star Wars fun. You will be quite pleased with the wide variety of favorite characters we have to choose from. Toddler Darth Vader? Child R2D2? Newborn X-Wing Fighter Pilot? We have all these and many more on our website. 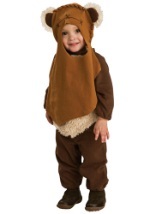 Keep the whole family dressed in Star Wars with these officially licensed costumes.